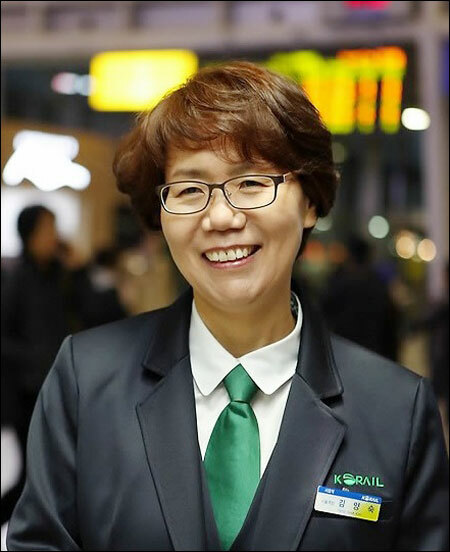 Kim Yang-sook, who was tapped as the first female stationmaster of Seoul Station in its 112 year history, is moving to upgrade the station facilities and make it a place where passengers enjoy more cultural events. She is leading renovation projects to make the nation’s largest railroad station more appealing to visitors, with her colleagues fully supporting her. “She is a calm person and sometime sentimental. But once she starts working, she becomes a real mover and shaker,” said Park Doo-ho, one of her coworkers who is a director of the Management and Human Resources Department at the Korea Railroad Corporation (Korail). He said everyone at Korail was satisfied with her performance so far ― she assumed the leadership post about a month ago. “She definitely has strength as a woman leader. She sometimes views things that men would not think of, especially in terms of public relations,” he said. More than 300,000 passengers use the station every day. It accounts for 16 percent of Korail’s total revenue. “I want to create a convenient and unique atmosphere featuring distinct Korean characteristics. For example, I want to have Korean classical music played in the station so that people come to the station and enjoy some cultural events,” she said. The 44-year-old plans to improve the design of the station from the beginning of next year. 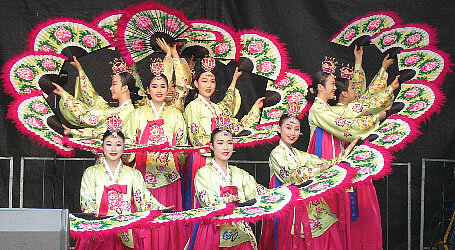 The plans include renovating Seoul Station Plaza in order to change it into a cultural space. As part of this effort, Kim organized a music concert in the station last Saturday. She began her railroad career in 1987 after her father suggested to her that Korail was a respectable job. But she just focused on her work and held a series of posts, including stationmaster of SeoDaejeon Station and the head of Korail’s culture and public relations department.